Featured on this page are our own in-store designs. Roses are always a great, classic way to say 'I love you' while a bouquet of your loved one's favorite flowers is always perfect on Valentines Day. 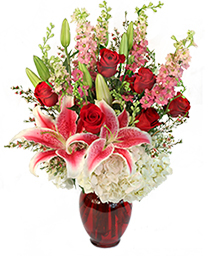 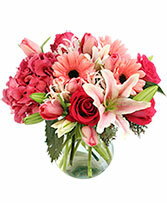 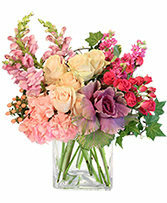 Let TERRI'S FLOWER SHOP help you send this traditional romantic gift. 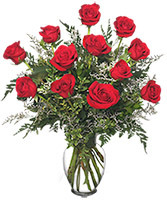 Send red roses for romance, white roses for respect, and pink roses for friendship. 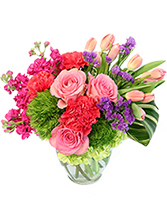 Sending flowers is always a special occasion. 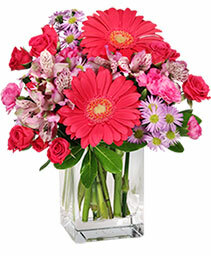 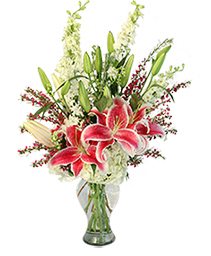 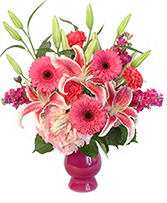 Whatever you choose to send, TERRI'S FLOWER SHOP in Naugatuck can help you!